I still have some catching up to do after my January hiatus. One of the most interesting things to come out since the first of the year is a letter from Gary Ahlquist, Senior Vice President at Booz Allen Hamilton. This is Gary?s wrap-up of 2002 and look ahead at the coming year. His perspective is worth paying attention to. He points out that 2002 was a year of neglect on the political front, but ?real action? for intermediaries, including employers, health plans and the IRS. ?By the end of 2002,? he writes, ?the United States had answered a question it was probably unaware it had asked: What structure would the health benefits system have in the next decade (or two)?? He describes 2003 as a year of ?paradigm drift.? He points out that after the Clinton health care initiatives, managed care was elevated from being a product to being ?the answer.? ?Consumer-directed health plans address the incomplete agenda left behind by 20 years of managed care experimentation.? He says that the incomplete agenda includes employer paternalism, distorted tax policy, the new era of two-income families, and others. ?Defined-contribution consumer-directed health plans will not be the final form of American health care, but they will be the next dominant form.? He then predicts some developments that will influence the business environment in the near future, including: ?the commoditization of catastrophic risk coverage;? the need for new capabilities for providers and suppliers; ?the emerging role for financial services firms;? continued consolidation and diversification of health plans; and growth potential for heavily managed care plans. He concludes by saying, ?We believe 2003 will be viewed as the year that a new wave of major structural change in health care began in earnest.? Also in January, HealthLeaders magazine?s cover story was on ?The New Face of Health Plans.? The article leads with Humana?s CEO Michael McCallister who says he is ?very pleased with the results? of the first year with a consumer driven health plan. Claims costs increased 4.9%, down from a projected 19.2% increase for the year, saving $2.1 million. His bottom line, ?When people are spending their own money, given good and actionable information, they?re going to be much better than the current model in controlling costs.? Skeptics abound, of course, and the article points out that there isn?t much data, and some of it, such as Humana?s results, may be considered anecdotal and self-serving. Still, the alternatives are limited. Writer Chris Rauber lists tiered copayments for hospitals and prescription drugs, case management programs for the seriously ill, and more cost-sharing with employees as the other strategies employers are using. The article counters the ?healthy and wealthy? argument by pointing to Definity?s results at Medtronics where the demographics of people choosing the consumer-driven plan were ?virtually identical to those of employees who choose the company?s other benefit options.? The article also quotes Destiny?s Ken Linde as saying, ?People?s behavior changes when they spend their money instead of somebody else?s, once they see the money as their own.? SOURCE: http://www.healthleaders.com/magazine/feature1.php?contentid=41074. 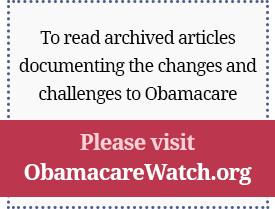 You may have to register to get access to the article. The New York Times weighed in with an article this weekend unfortunately headlined, ?A New Health Plan Works, at Least for the Healthy.? Writer Beth Koblinger gets most of her quotes from Ron Pollack of Families USA, Gary Claxton of the Kaiser Family Foundation, and Jon Gabel of the Health Research and Educational Trust (associated with the AHA). These opinions range from skeptical to hostile. Beyond that, she uses anecdotes such as the out-of-pocket costs at Pharmacia for childbirth ? ?$160 in the company?s HMO, $835 in the PPO, and $1,300 in the consumer-driven plan? (which could be a real problem if you have a baby every year. Of course, if you?re getting an annual contribution of $1,000 – $1,500, the OOP cost would be far less if you have a baby every two years). She also mentions that 115 of 906 employees who chose a consumer driven plan at Charter Communications switched back to a PPO after one year. She wraps up by quoting Ron Pollack as saying, ?the plans could skim off the healthiest employees, leaving the sicker ones in HMOs and PPOs, resulting in higher premiums.? Next week is ?Cover the Uninsured? week as declared by the Robert Wood Johnson Foundation and most of the health care establishment. Some 100 national organizations have all agreed that there are too many uninsured in America, but they haven?t agreed on a solution. It?s a little hard to decipher the purpose of the effort, other than that RWJ has a lot of money to spend. The ?proclamation? uniting the groups states, ?We recognize the urgency of seeking solutions to one of America?s greatest problems and hereby declare our support for Cover the Uninsured Week March 10 ? 16, 2003.? There will be town hall meetings, campus teach-ins, health fairs and a lot of other hoopla. And each group gets to publicize its own approach to solutions. No doubt it will be an organizing triumph, and I guess RWJ will get a good database of people who are interested in the issue, but watch the blood flow if they try to convert this into a solution. Just in time, a couple of reports have come out discussing some of the nitty-gritty numbers behind the uninsured. The Blue Cross Blue Shield Association has released a study of ?The Uninsured in America? that finds the population more diverse than is often thought. Of the 41 million uninsured, more than 14 million already are eligible for Medicaid or SCHIP, but haven?t enrolled; more than 15 million have incomes of $50,000 or more and could purchase coverage if they thought it was valuable; and 5.7 million are short-term uninsured, often people between jobs or recent college graduates. The report notes that 5.2 million of the eligible but unenrolled live in just three states — California, Texas and New York. It also points out that the greatest growth in the uninsured is in people earning $75,000+, rising 70% from 1999-2001. Only 8.2 million are long-term uninsured, too poor to afford coverage and ineligible for public programs. The paper proposes giving tax credits to employers to enroll their low-income workers, but that idea misses the real lessons in these numbers ? many people do not like to be in government programs, many others do not find value in existing private coverage, and many others are not associated with an employer. The solution to all three groups could be tax credits to individuals (not employers), so they can purchase the coverage they prefer and value.
? It finds that while the ?full-year? uninsured consume $1,253 in services, the privately insured consume $2,484, but about half the difference is accounted for by demographic differences between the populations (the uninsured are younger and healthier than the insured). So the insured get only about $600 more care than the uninsured — not much of a difference considering how much money goes into providing them with insurance coverage.
? It also finds that uncompensated care amounts to only 2.8% of total personal health spending, which suggests that the ?free-rider? problem cited by advocates of mandatory coverage is a pretty small problem.
? One must conclude that a tax credit such as the president has proposed (of $3,000 per family of four) would be virtually free to the taxpayers. If government is already spending $800 per uninsured person, that amounts to $3,200 per family of four. A $3,000 tax credit that succeeded in getting these individuals off the uninsured roles would actually save the taxpayers $200.
? Further, the uninsured are already paying about $400 per person for their care, or $1,600 per family of four. If this money were to be combined with the tax credit, each family would have $4,600 of current money to spend on coverage.
? Finally, the paper points out that the way we currently provide services to the uninsured is inefficient. They wait too long to seek treatment and are more expensive to serve as a result. We could get better health out of the dollars spent if we could get these folks covered. Taken together, these two reports make a powerful case for supporting a tax credit plan like the one proposed by the president. Perhaps that could be the message of Cover The Uninsured Week.